 NOTE:The badges displayed on this page are not authentic and are for artistic display only. 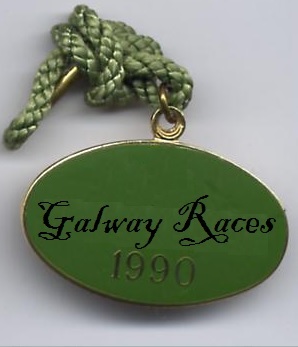 The earliest record of racing in the vicinity of Galway was in the middle of the 18th century when staged at Kiltulla. 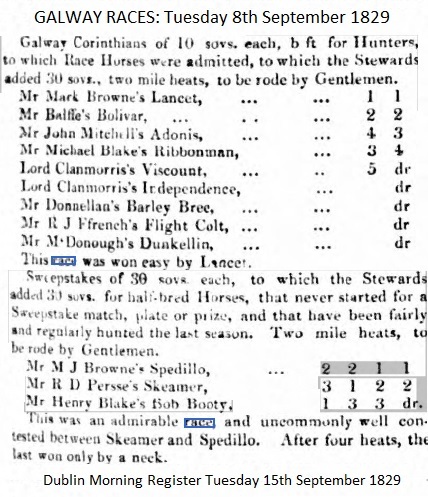 Results were included in Cheney’s Racing Register from 1750. 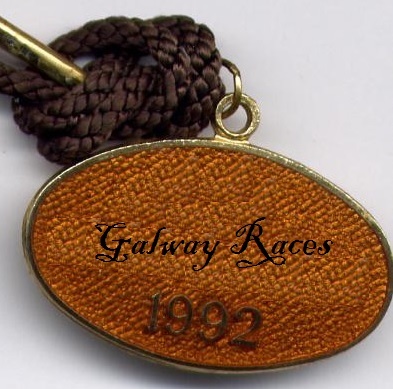 Throughout the early years of the 19th century Galway races were held at Kiltulla and the Bushfield Course. 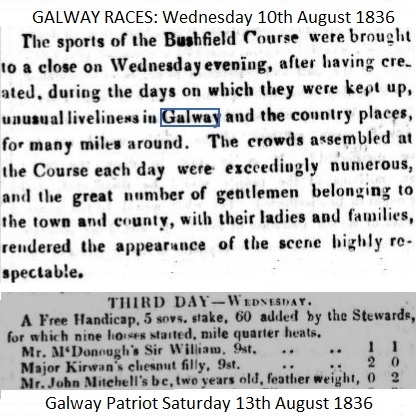 Newspaper extracts shown below indicate that Kiltulla was used in the 1820s and 1830s, while races were staged at the Bushfield Course in the late 1830s and 1840s. 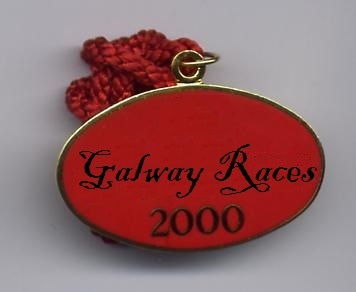 However, the present day Galway track is located at Ballybrit, staging its inaugural meeting on Tuesday 17th August 1869 when an enormous crowd in excess of 40000 is reported to have attended. 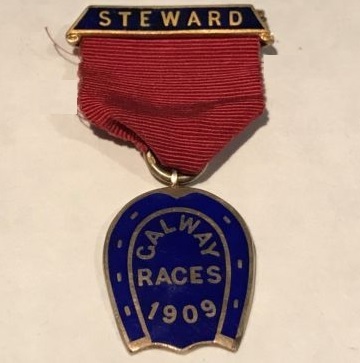 The racecourse stands on land donated by Captain Wilson Lynch, and the Chairman of the Stewards at the inaugural meeting was the Galway MP Lord St Lawrence, ably assisted by, amongst others, keen racing supporters Lord Claremorris and the Marquis of Clanricard. 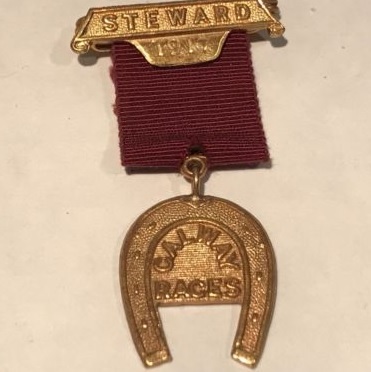 As was customary in those early days, the meeting was supported by the Midland and Great Western Railway, and they generously offered to transport horses to the races without charge. 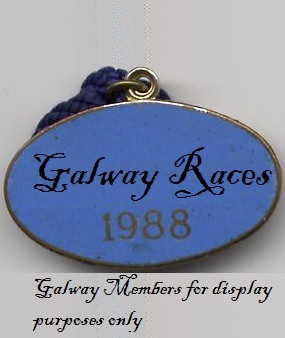 The meeting has gone from strength to strength, its principal race being the Galway Plate and its feature event the Galway Festival. 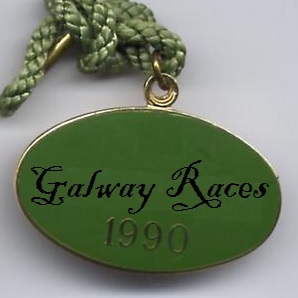 The Galway Plate was first run in 1869 when won by Absentee, owned by Mr R Bell, who defeated 12 others to land the prize. 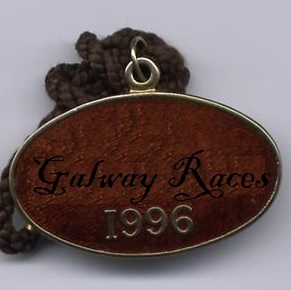 The Galway Plate is always keenly contested, but one horse, Tipperary Boy, cemented his place in history by winning the Plate in 1899 and repeating the feat in 1901 and again in 1902. 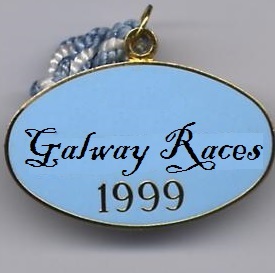 Full details of winners of the Galway Plate are given below. 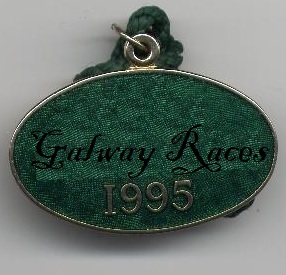 The Galway Festival is usually held in the last week of July and lasts for the full seven days. Currently the course hosts 12 fixtures annually. 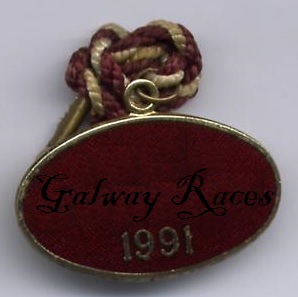 Although Galway remains a thriving racecourse, nearby Loughrea closed its gates for the final time in 1972. 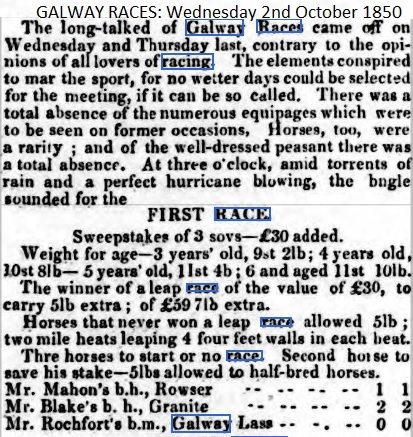 The Irish racecourse at the town of Loughrea first staged a two day meeting spread over three days from Monday 24th August 1752. 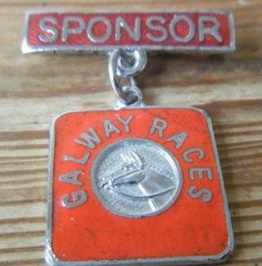 The Loughrea £40 Purse was won by Thomas Lambert’s Starling, while the Gentlemen’s Subscription Purse went to Mr Dillon’s chestnut gelding. 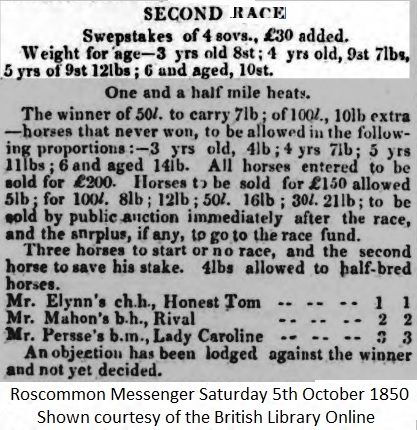 Ten years later a full five day meeting, extending from Friday 8th to Wednesday 13th October 1762, featured a Handicap restricted to Irish Bred horses which was won by Modesty owned by Mr Donough. In 1793 the local stewards were concerned about unknown outsiders coming in and poaching their races. 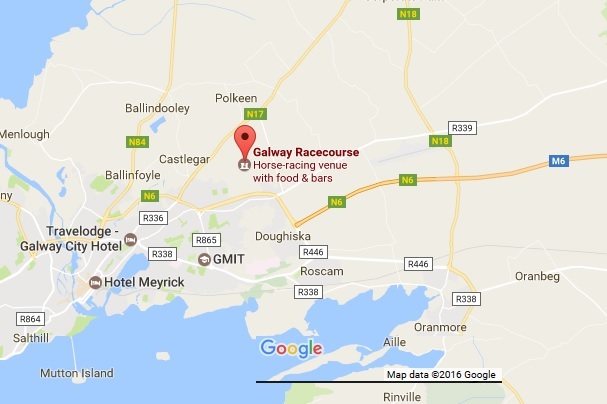 They asked the Turf Club to rule on whether horses not known to the local Loughrea stewards should be allowed to run in their races. 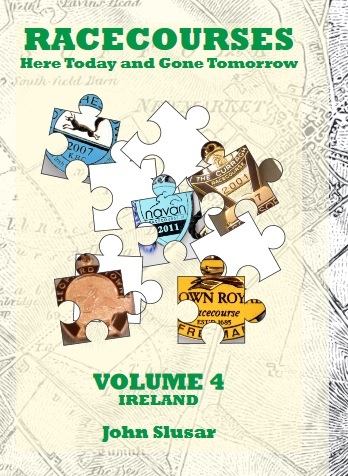 The Irish Turf Club ruled they should not. Unrest in the early part of the 19th century and the great famine in the middle of the century both threatened the existence of Loughrea, and they did lose some meetings. 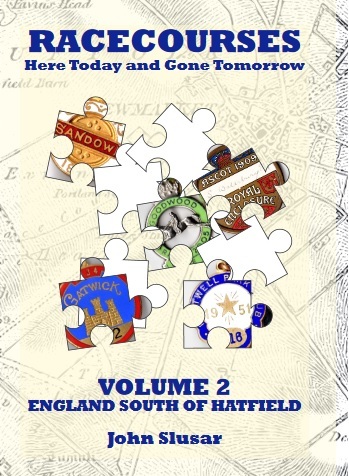 However, the Knockbarron course was packed for the two day meeting on Tuesday 14th and Wednesday 15th May 1867. 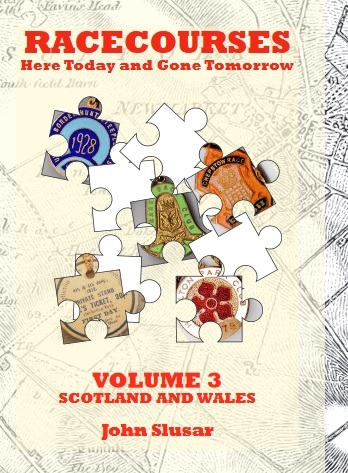 The final meeting of note took place on Tuesday 22nd August 1916. 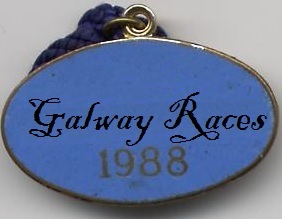 The Galway Plate was first contested in 1821 when run in heats. 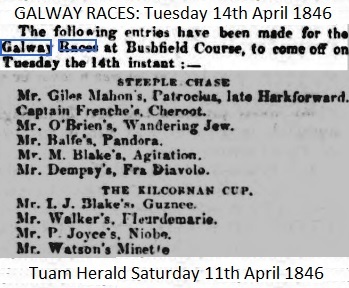 However, the inaugural running, over 2 ½ miles, on the current Ballybrit racecourse took place in 1869, with full results shown below. 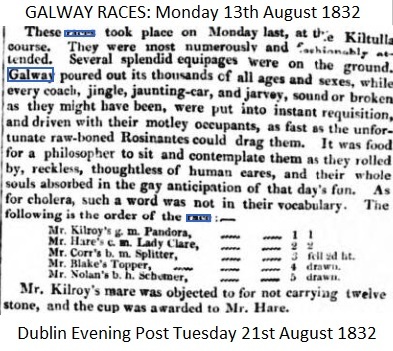 Details of Galway Races in the early part of the 19th century from a varied selection of newspapers are shown below courtesy of the British Library Online.